Automatic Paper Envelope and Paper Bag Making Machine is a good option for Small Business. Anyone may set up a Small Business and can be self-dependent by investing a small amount. It is also a good opportunity to earn handsome money. With this Automatic Paper Envelope Making Machine, you may start a small business. 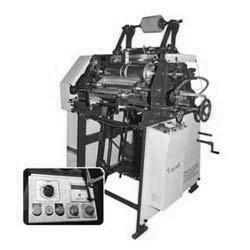 This machine can make upto 42 inch envelope automatically. You can make bags of paper also with this machine. At first you have to buy role of paper. You may afford it in the market of Baithak Khana Bazar in Kolkata. The price starts from Rs. 42 per kg. Or if you want to make very small size envelopes, you may buy pieces of paper from the market of Rajabazar in Kolkata. Now you have to put the paper sheet in the indicated place of the machine. You may use dies of different size to make envelopes of different size. Now start the machine and the envelopes will be made automatically. With this machine, you can make 30 to 40 envelopes in minute. It needs 2 horsepower motor and 220 volt to operate this machine. 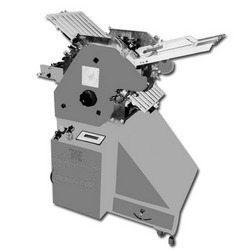 The price of the Automatic Envelope Making Machine is approximately Rs.1700, 000 and the price of hand-operated Envelope Making Machine is approximately Rs.70,000. You can find many companies manufacturing a wide range of Automatic Paper Envelope Making Machines. Their machine matches high technology electronic control.